When George Tsoris was a child in the 1930s, the Boys Club in Milwaukee had a profound effect on him. When the neighborhood kids played outside, he was at the club nearly every single day. Tsoris called it his safe haven filled with fun, games and memories of a summer camp in Northern Wisconsin. 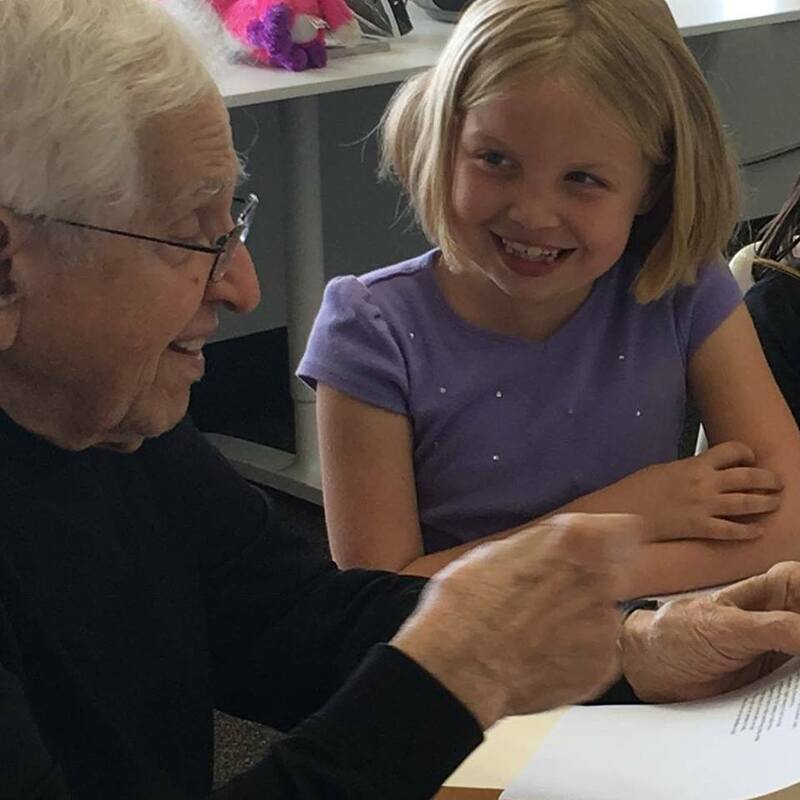 Now 90 years old, this Oceanside resident decided a few years ago to pay it forward and volunteer as a poetry teacher at the Boys & Girls Club of Vista. CEO Matt Koumaras of the Boys & Girls Club of Vista noticed Tsoris’ dedication. So much in fact, that Koumaras nominated Tsoris for the 2018 Maytag Dependable Leader Award and Tsoris was selected from more than 175 nominations. According to Ellen Clark, the director of development for the Boys & Girls Club of Vista, the Maytag Dependable Leader Award is a national recognition for those who exemplify dedicated service to the children who attend the Boys & Girls Club. It can be given to both employees and volunteers and has been in existence for the past nine years — this year, two people were chosen. In addition to this leadership award, the Boys & Girls Club of Vista will also receive a $20,000 grant from the Maytag Corporation. This is the first time that the Boys & Girls Club of Vista has ever received this award for its club. Tsoris has volunteered at the club for the last four years. Clark said that he drops by once a week bringing poetry and prose alive to the kids enrolled in his Poetry Club. Tsoris wants everyone to know what an honor it was to receive an award of this magnitude. Tsoris said being with kids is very uplifting. Tsoris shared that he was first exposed to the art of poetry when he was in fourth grade. It sparked a passion — a passion that he wants to teach other children.